Access and restrictions are configurable on an individual basis for each Manager or Employee. This granular approach means HR has flexible controls to grant or restrict access to any and all staff records. Managers have the ability to Authorise/Decline leave requests for their employees. Managers can run reports for their own set of employees. Managers can view their Employees absences on a team calendar. Speeds up response times to common HR requests and once approved will automatically update PAMS. Tasks including Annual Leave booking, Absence Recording and Pro Formas such as Return to Work Interviews and Probationary reviews are all managed by ESS. The automation of administrative tasks in ESS eliminates HR data entry responsibilities and the need to pursue Outstanding Records or Pro Formas. Consequently HR staff have more time available to concentrate on strategic projects. ESS gives employees control of their data, with the ability to check their annual leave balance, request annual leave and obtain approval from their manager in a matter of seconds. 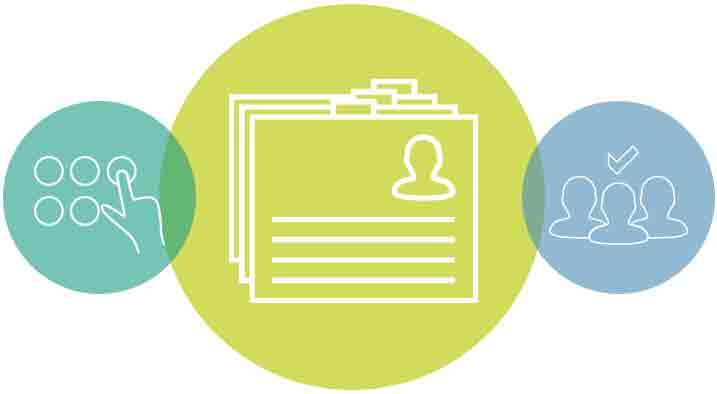 Employee career records such as contractual, benefits or salary can be accessed and personal information such as bank or CPD details can be viewed and updated. The ESS administration module allows HR to configure access rights of specific users to meet internal access control standards. "The system has really modernised administrative processes, such as employee annual leave requests and changes to personal details"
Digitalise your HR system while reducing paper records and give ownership to employees to review processes such as annual leave requests and changes to personal details. HR can supervise all managers and employees accounts via the administration module. Recurring admin tasks can be sent as an automated triggered form, such as the return to work interview. Increase ESS functionality with the full integration of PAMS handling all your HR data in one centralised location. Do you have any questions about ESS?